Do you need web design, image production, or online marketing consulting? 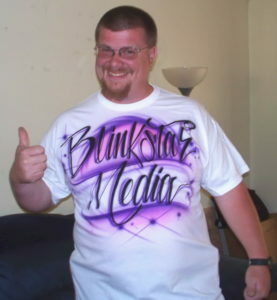 Blinkstar Media is accepting new clients for 2010. We offer search engine optimization, web design, banner and image production, apparel design, copywriting, and online marketing consulting. We have room to take on more clients in 2010, so check out our services page and request a quote today! In 2010 we’re excited to expand our services and projects we’re taking on. Railroad Redux is going well with Dominic behind the helm blogging about his venture back into model railroad building. Food Askew has been picking up lately with more recipes and food art submissions. Girl Scout Guide will be expanding with more suggestions for trips and badge work in 2010, as well Airsoft of Alameda is on a small hiatus until weather permits more airsoft fun! We are also looking into expanding into some one-of-a-kind crafts selling on Etsy and potentially some other handmade gift sites. Look for that soon!